Syringomas are benign tumors of eccrine origin commonly found around (usually below) the eyes . 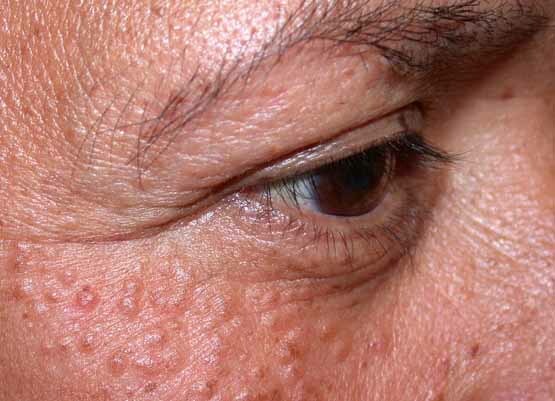 Eccrine simply means sweat glands and the sweat glands around the eyes are the common sites of transformation into syringoma. An anaesthetic cream is applied to the lesions and kept for 45 minutes and all the lesions are removed using Co2 laser in a single session. There will be a wound to the size of the lesion which will be healed within few days.